850 New Apartments in Scarborough | Look Out Scarborough! Let’s face it… 2016 has been a horrible year for Santa Claus. First in March there was that hefty fine from OSHA for supplying hazardous workplace clothing (those pointy elf shoes). Then in August the EPA cited him for unlicensed biological material discharges (reindeer droppings). 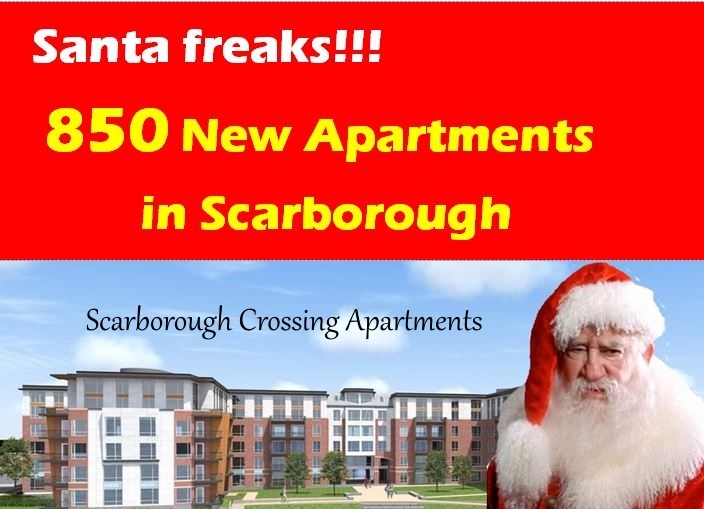 And on top of this, the Jolly Old Elf attends the Scarborough Town Council workshop on “Growth Management” on December 14 and learns that there are 850 new apartment units in the pipeline for construction in Scarborough. “I have capacity limits, too, you know,” Santa told LookOutScarborough over a post-workshop Margarita at El Rayo. “How am I supposed to handle that kind of growth? There are only so many visits I can make in that one night, you know,” he huffed. Existing households – According to Census data estimated through 2015, Scarborough currently has about 7,500 households. So adding 850 households over the next couple of years will be more than a 10% increase. Housing construction ordinance – In response to a rapid increase in single-family home building in 2000-2002, the Town Council enacted an ordinance to limit new home construction. This limit was necessary since the new construction was causing significant school enrollment increases, which put great pressure on school staff, facilities and costs. For more than ten years, there has been an annual limit of 135 permits being issued for new homes. 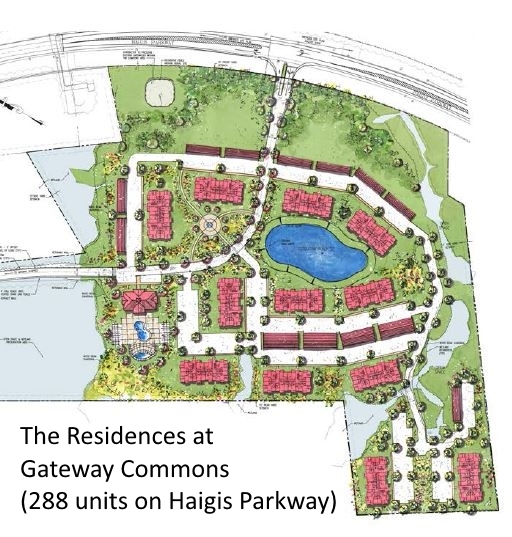 There is also a “reserve pool” of permits for “special projects” – which can include projects “that aren’t easily accommodated within the annual allocation [of 135 units].” Presumably the two large projects noted above (Enterprise Business Park and Gateway/Haigis Parkway) would use “reserve pool” permits. There are currently only 215 permits in the reserve pool — not enough to allow both projects to proceed. The current ordinance requires Town Council action to replenish the number of reserve pool permits once it is exhausted. Which is why this discussion is taking place. Recent housing construction activity – Due largely to the extended recession, annual demand for new single-family home building permits has been well under the annual cap of 135 for the past eight years. 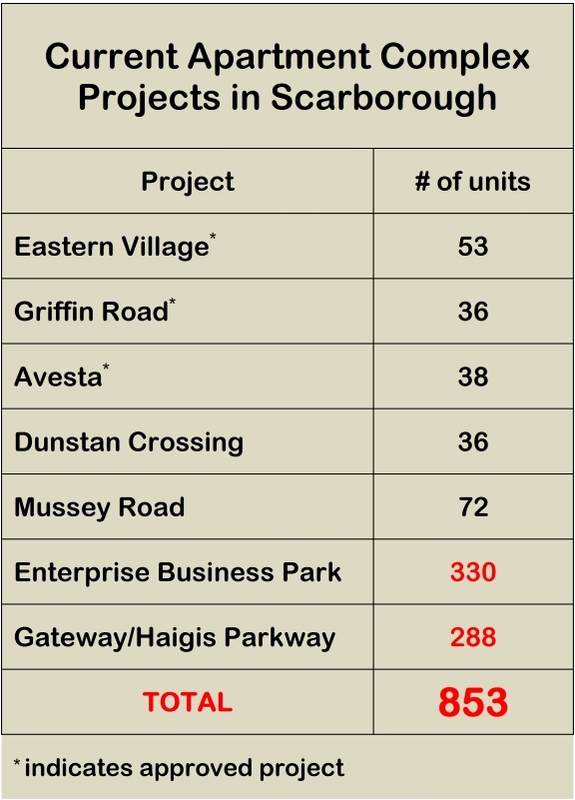 As can be seen in the chart above, the first five projects are each modestly-sized apartment developments. These are now economically viable projects based on market demand and financing availability, at least as far as the developers are concerned. The last two projects on the list are horses of a different color, certainly in terms of size and potential community impact. So what are the potential community impacts of adding 850 apartment units to Scarborough’s housing stock? Tax rate impact – The impact on the tax rate is not at all clear. The main variable that will impact taxes is how many new kids will attend Scarborough schools from the added apartments. The average per pupil expenditure in the Scarborough schools is $13,263, according to the latest data from the Maine Department of Education. How much additional tax revenue will each of these projects generate and how will that compare to additional school costs? The material presented at the workshop concerning the likely tax impact was extremely general, anecdotal or outdated. A much more thorough analysis of the tax impact of this major expansion of the Town’s housing stock is definitely needed. Apartments by their very nature tend to have residents who remain in the community for shorter periods than homeowners. As a Town that highly values its close-knit neighborhoods, what will a large influx of apartment units do to the stability and fabric of Scarborough’s neighborhood-based community? 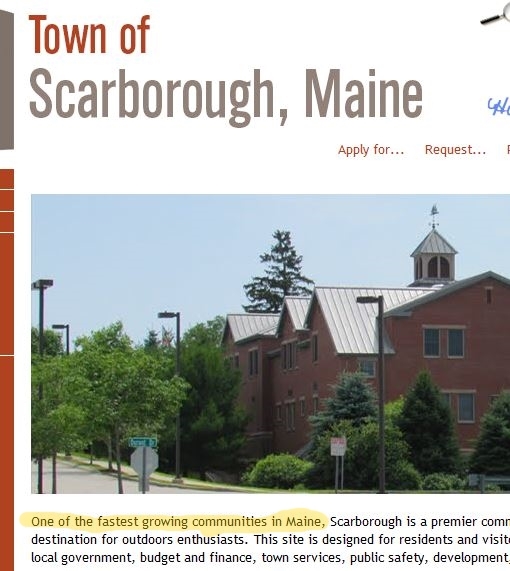 The first words on the Town’s website are: “One of the fastest growing communities in Maine…” Adding 850 housing units will certainly help make that boast true going forward. But is being fast-growing what Scarborough residents want? How is “fast-growing” defined? 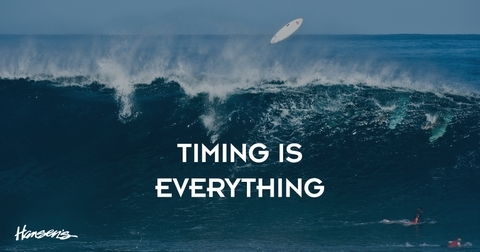 And what are the real-world impacts of being fast growing? (3) solicits meaningful public input on the future of housing expansion in Scarborough. The discussion of a major increase in housing growth in the Town would seem like a critical one for our future. Yet here we are with the Town Council discussing this matter during the holiday season when the least public attention is likely to be paid to it. We hope that the larger issues associated with rapid growth will get a full public airing before piece-meal decisions are made on individual apartment projects. More good stuff is coming in the New Year. Like a review of the Town’s and Schools’ financial results for Fiscal 2016. And our exclusive predictions of the major capital projects that are in Scarborough taxpayers’ future. Stay tuned! This entry was posted in Uncategorized on December 20, 2016 by Site Author.